Almost every marketing blog on the internet will tell you this. It's internet marketing 101. In order to get visitors to hand over their email addresses, you need to offer them something of value in return. That value usually comes in the form of a downloadable guide. With a lack of design sense, low to no budget and even less time, how do you even begin to go about creating beautiful, value packed PDFs that will leave your new subscribers' mind blown and eager for more? Unfortunately these two ingredients are often the biggest roadblocks to getting your lead generation machine up and running. Trying to figure out the perfect content and achieving a design you’re proud of can leave you stuck for months. We’re going to tackle both of these roadblocks, and focus on the all important JUST SHIP IT principle, so you can grow your email list for all those months instead. Low Quality: By the time a new subscriber is reading your PDF, you’ve already received their email address, so you cave to the temptation of providing something of minimal value. High Quality: Perhaps because you want to prove the overwhelming value of your list to new subscribers so badly, you decide to give away everything you can upfront. Nothing but a 20 page book (that takes you 6 months to create) will do. The sweet spot is in the middle ground. Offer some distinct value, but don’t give so much you completely overwhelm your new subscriber to the point of TLDR (too long, didn't read). ​Strike a balance: creating your opt in offer doesn’t have to be difficult. It should be a quick read, not a novel, but what information you do offer should be filled with value. Using content from an existing blog post or page on your site may seem lazy, but I can assure you it’s not. It can be a great way to get a PDF out quickly, and to get more eyeballs on a crucial piece of content. Make sure you re-purpose the content to fit a PDF style rather than a blog post. Focus on turning it into a take home guide. ​Make sure not to show the opt-in offer on the post or page the content came from. You can do this with the display settings in Thrive Leads. Say you’ve managed to tear yourself away from the computer for once and found yourself at a party. When you tell people about your business, what are the common questions that always follow? What is an idea, topic or problem within your niche that people always want to know more about? That, my friend, is your opt-in material. Just think of what would get your new drinking buddy at the party nodding along with a pleasant mixture of ‘I never knew this’ and ‘holy sh*t, this is gold’. A few short jabs of valuable information, surrounded by more detailed explanations and a few action steps or bullet point summaries is all you need. If you’re not familiar with Content Upgrades, check out this post. In short, they are downloads offered on specific posts, expanding on the topic of the post or offering the information in a different form, such as a checklist. Content Upgrades are great for capturing email addresses on some of your most popular posts. It's a targeted offer for those you know are already interested in the topic (because they're reading the blog post in the first place). Since it's offered on a single blog post, this type of PDF would include content that adds to, or expands on the original post, rather than just repeating the content. Content Upgrades can include anything, from summaries or checklists, to quick reference guides or tool lists. The headline swipe file available on this post is the perfect example of a complimenting PDF. The content for these types of PDF’s should not take you very long at all to create. You’ve already got the foundation (the blog post), you just need to think of a valuable addition to the points raised in the post. ​If you ​already have or are interested in creating super long-form​ content — like an ultimate guide — to better entice new ​visitors to subscribe to your list, consider using our Open PDF epic content strategy ​explained here. I know, I know. We all wish we could be one of those people. The ones that just seem know how to make stuff look good. The ones with that mysterious, seemingly unattainable trait called ‘design sense’. Back in the day there weren’t many options. You either hired one of these unique annoyingly talented people to spruce up your content (waiting days to weeks to get it back, and paying through the eyeballs), or you settled with a PDF that looked like your three year old used Microsoft Paint to create. Through the power of templates, and some very clever companies, good design is available to everyone. You no longer need ‘the eye’. Don’t believe me? Think you’re the exception to the 'anyone can be a designer now' rule? You just need to know how to edit the templates these programs offer. Let take a look at three simple, free (or low cost) ways of putting your content together in a visually appealing, professional format. Canva is a demigod of design resources, with tailored templates for everything from business cards, to Facebook event images, menus and magazines. Most of the templates are free, unless you want to use their licenced pictures in your design (which average at a dollar a pop). For a completely free option, you can swap their pictures with creative commons (free use) pictures from a websites like pixabay. Here's a quick tutorial on using Canva to create a PDF. We'll be turning this﻿﻿ ﻿Thrive Themes blog post on Negative Feedback into a downloadable PDF. Check out ﻿the ﻿﻿﻿﻿finished ﻿﻿﻿﻿﻿﻿﻿﻿﻿﻿﻿Guide to ﻿﻿Surviving Negative Feedback﻿﻿ ﻿﻿here! Sometimes the content on your site is already in a format prime for a PDF. By combining separate bits of content into one guide, you can quickly and easily create a value packed downloadable for your visitor. While this method is no where near as pretty as making the whole thing in Canva, it only takes about 10 minutes to create. So if you’re looking for a quick way to get your opt-in together without a lot of messing about, this method is for you. A perfect candidate for the merge technique is a recipe site. Putting your best vegan recipes together into one ‘complete vegan recipe collection’ download will give you the perfect Content Upgrade for your individual vegan recipe posts. Another example is a business blog. If you have several posts on the different aspects of starting a business, you can collect those posts in order and create a complete guide. Worried about your audience finding out you're using existing content? Yet for some reason, people were still begging him to create one. He didn’t realize the value his audience placed on having the content all together in an easily digestible format. When he did finally launch a course, his audience gratefully lapped it up, and it was a huge success. To begin with, you need to choose which posts you want to combine. Selecting all the posts under one post category or tag can be a quick way doing this. PrintFriendly is a free tool allowing you to load and edit content from any URL, turning it into a printable format. Enter the URL of the post you want to use and click print preview. This will load the content in an editable window, where you can delete any sections that you don’t want to include in the PDF. You can also delete or change the size of the images used in the post. Once you’ve cleaned the post up, click the Print button. Avoid the PDF button for this technique as it adds page numbers to your download which will confuse the reader if you’re merging multiple PDF’s. In the Print window, make sure you turn off headers to get rid of the 'PrintFriendly' text at the top of the page, then save as a PDF. 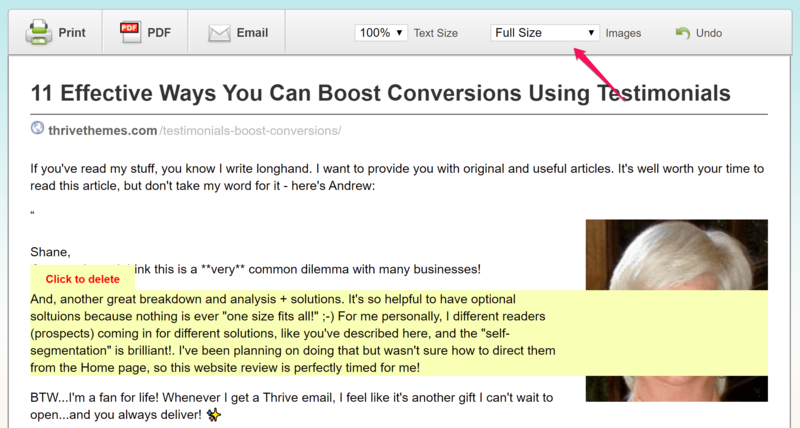 All links on the original blog post will still be clickable when saving this way. You can use Canva for this. If you missed it, the tutorial video above will walk you through how. Use a PDF merging program such as ilovepdf to save the PDFs together as one. If you want to add page numbers, you can do that with ilovepdf's page numbering tool. 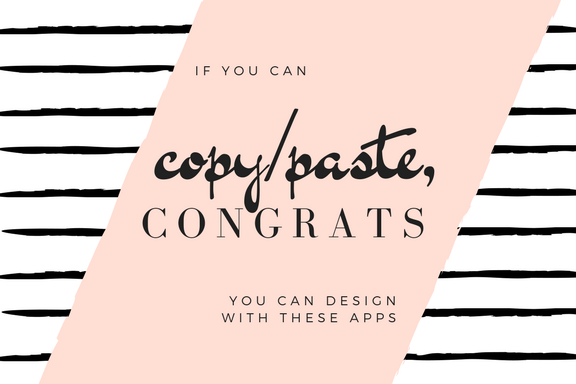 If you’re willing to throw down a few bucks, there are some pretty cool tools that are a mixture of Canva and the PDF merge method. Unlike the PDF merge method, these tools allow you to change the formatting of the blog posts to integrate with a whole new design. Designrr is a web based app that changes blog posts into PDFs or 'ebooks'. You just need to paste the URLs you want into the program and choose one of their pre-made styles. Beacon is a WordPress plugin that does much the same as Designrr. The difference is you can select the post you want to use from within your WordPress dashboard. ​Both allow you to create new content within the apps. If you’re thinking of going down this route, I’d recommend watching the product tutorial videos on each homepage to decide which is right for you. 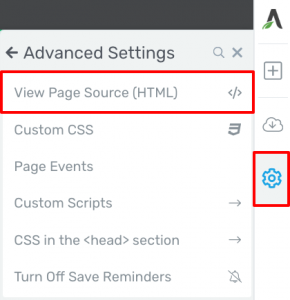 Copy the HTML from the post using the ​"View Page Source (HTML)" button — pictured below​ — within Thrive Architect (​Click the gear icon in the thin, right-hand sidebar​ and then click the "Advanced Settings" tab to find it). Create a new post, and paste the HTML straight into the native WordPress text editor. Publish the post, and import it into the PDF builder program. Once it's loaded onto the PDF Builder editor you can delete the duplicate post. This will preserve all of the heading tags and images used in the post, making it customizable within the programs above. With all these tools available, it shouldn't take you more than a few hours to create your first downloadable PDF. Jump on and give it a try. Let us know how it went in the comments below! ​Downloadable PDFs can end up with some pretty monstrous file sizes. Since adding such big files to your site is a no-no, make sure you use a tool like smallpdf to reduce the sizeof the PDFbefore uploading it anywhere. Once you’ve got your shiny new PDF created, the next step is convincing you visitors that it’s worth their email address to download. 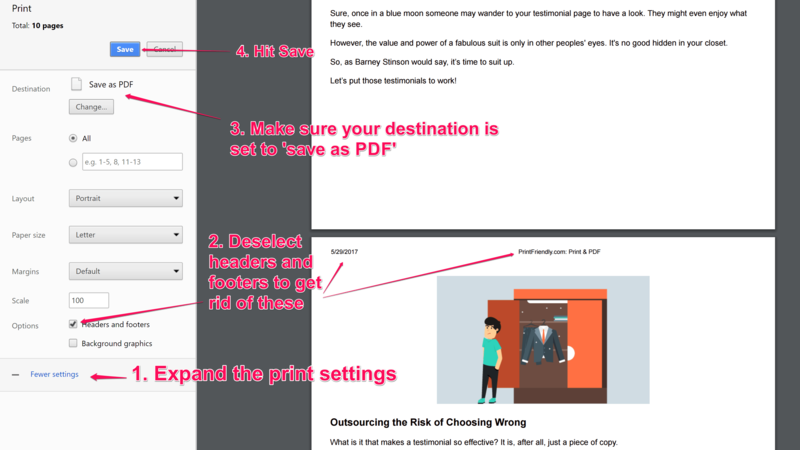 Convince your visitors they NEED your new PDF. In this Thrive University course, you'll learn what words to use, which pain points to hit, and even how to design your opt-in form to maximize conversions. Great article and lots of awesome tips. Thank you! Just as a quick heads up, you mentioned Designrr. We have this tool and it is excellent however, it doesn’t play nicely with TCB built pages. Despite that, you can copy and paste the content over and still get a great PDF. Oh awesome, thanks for the tip Kevin! I use Designrr but always have issues with links. You can’t make them open in a new window so once a link is clicked, you will lose your readers unless they’re determined to find you again. I’ve decided to just not put links on my pdf’s, but that of course kills the ability to send people to your offers and affiliate offers. If you’re using the pdf with Thrive Leads like I do, then it’s a great way to build your list, and then you can put your offers in your emails of course, trusting that you’re getting a good open rate. I don’t even add my pdf’s to my site b/c I’m not too good at that stuff, so I just add it to my media attachments in GetResponse, my autoresponder. If I ever left GR I’d have to rework everything, but I don’t plan to (never say never though, huh). I’d love to hear your thoughts or maybe a follow-up article on best ways to deliver your pdf’s. Once again, love the article and you’ve got some wheels spinning here. I would check with Designrr about the links, it’s a shame that you cant include links. It may be something they can help you with. As for the delivery of the PDF’s, have you heard of the Thrive Leads asset delivery feature? That might be a good option for you. Nice tips you’ve shared here. I recently tried Canva for simple pdf building and it was horrible. Great for small images but really hard to get blocks of text to line up correctly and consistently from page to page. I think using a proper desktop publisher is much more effective, at least if the pdf is more than a page. How long ago did you try Canva? They recently made some major improvements to the interface that make it a lot easier to handle. That being said, there are a number of other online editing programs available, such as PicMonkey, or dedicated desktop programs like you mentioned. It’s just about finding one that fits best with your situation and preferences. For this blog post we wanted a tool that everyone could access. what desktop publisher do you use/recommend? How do you deal with fake emails? Is this feature able to integrate with an email verify service? I would hate to give away the goodies because of a fake email submission. My stance on that sort of thing is the more the merrier. If someone wants your opt-in offer badly enough to scrounge up a fake email, let them. They’re the type of subscriber would have most likely unsubscribed to your email list immediately anyway, if they were forced to use a real address. At least this way you have a chance to win them over with the content of your PDF. If your worried about paying for ‘subscribers’ that are just fake email accounts, a number of email service providers already have in built systems for handling spam addresses. I’d also suggest purging your list every few months. It’s something we do regularly here at Thrive Themes, and it’s good practice to keep your list healthy. To do this you just need to unsubscribe inactive subscribers (after giving them a few ‘last chance’ re-engagement emails). Thanks for the tools and ideas. I offer an ebook in my blog as an incentive ( a guide to smart travel planning) …perhaps a PDF would be better? Hi Federico, the terms are interchangeable. Ebooks are generally in a PDF format, so everything mentioned in the article applies to ebooks as well. Nice work Steph! Now just need to sit down and create the bait… thanks! An action taker, that’s what we like to see Randy! It’s funny that you are posting this now as there is a new WP plugin (Post Gopher) which can convert all your site content (posts, pages etc.) into downloadable pdf’s in a few clicks and integrates with all major auto-responders. Man, you guys (and girls) at Thrive really provide a ton of value. These are some awesome tips. My membership to Thrive Themes is one of the best purchases I’ve ever made. Keep it coming. Magnificent. Thank you Stephanie. By the way, I already use designer and it’s great. Thanks Luis, it’s good to hear a positive review for them. Thanks so much for this information. I have sometimes spent hours getting my downloads to look cool and ‘professional’. I even use Canva but didn’t know about the Magazine feature. This is the best tip I’ve had this year. 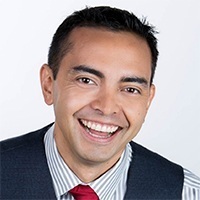 I currently have 5 articles (steps) that are drip fed to new opt-ins but I think putting them together in this way will give even better value. I agree, the magazine templates save a ton of time carefully formatting in Canva. Otherwise it does take a bit of messing around to format everything nicely. Glad to hear this helped! Great article (as usual) with great resources! I bought Post Gopher and had to return it. The concept is great, but it did not work well with TCB posts. I opted to instead use Thrive asset delivery. With PG there is no tagging capabilities for segmentation based on the post they downloaded which is really important to me. I use Active Campaign and I’m used to tools that integrate with AC so that I can easily add and tag subscribers (PG has no AC integration). I’m grateful for the resources for quickly grabbing content and creating a pdf. any tips on getting it to work with Thrive asset delivery? if so, what system do you use to take payment and then deliver through Thrive asset delivery and AC? I’m trying to put this all together and would love any feedback you can give. Hi guys, his post on Shane’s personal blog might be helpful. I would suggest using Thrive Leads for everything lead generation related, and just use programs like Post Gopher and Beacon for designing the PDF. Thrive Leads has far greater customization, tracking and (as you mentioned) integrations. 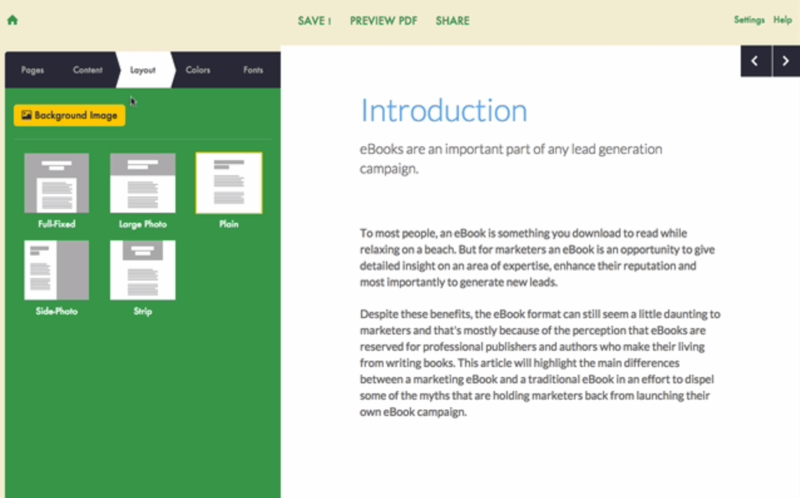 You’re right about Content Builder posts not playing well with these blog>PDF programs. I’ve added a workaround to this post on how to get past this. You can get the details here. how to set up delivery of the pdf! there are many ways and tools to do this. What if you want to sell a pdf (ebook) how do you take payment and then deliver? These i think are the most important aspects of creating pdf’s for others. You can have a great pdf but if getting the product to the customer is cumbersome most will never see it. This post is covering how to create a free PDF in order to entice visitors to give you their email addresses. It’s very different from selling a book online. If you want more information on setting up a sales funnel for an ebook, take a look at this post on setting up the perfect marketing funnel for your book. Or, if you are a Thrive Themes Member, you might find this course on setting up an evergreen ebook sales funnel helpful. If you would like more information on delivering a free PDF to a new subscriber, you can use the Thrive Leads asset delivery feature, an automation in your email service provider or follow the instructions on this how to create a list building funnel post. Setting up the download is covered at 21:40 in the video. I am struggling now with converting TCB content into PDFs. We have some great designed content using Thrive Content Builder, and am now searching for a solution to convert it into PDFs. Your suggested services are nice, but I do not want to re-create the content. I just want to re-use already created content designed by TCB. The best start would be exact copy of TCB content converted to PDF, and then to edit it a bit (add/delete/tweak this or there). After the comments, I found a workaround to TCB not playing well with programs like Designrr and Beacon. Details on how to fix this are here. If you want the PDF to look exactly how it looks on the page, just in PDF form, try a screenshot program. Awesome Screenshot is a Chrome extension that allows you to capture an entire webpage or post. Unfortunately this captures everything, so it’s a bit difficult to edit, and does not keep the links. If you have access to Photoshop, you could just erase the link text and add new functioning links in, but that’s a bit of a hassle. The best bet would be using the workaround and one of the blog to PDF programs. Wow that was great. Being geeks heavily into technical typesetting, we tend to have to prepare the PDFs using LaTeX (a markup language for mathematical typesetting). Still dabbling a bit with the nitty-gritty of Thrive Asset Delivery, but hopefully this will go as planned. The use of Canva as PDF creator is awesome too. Yep, I’ll leave the LaTeX to you Thomas ;) If you take a look at my reply to the comment two above, there are a few links to asset delivery tutorials (in the reply to beachbum). That may help! Really great, I was allways asking myself, how are people creating so nice PDF files… Will definitely use it!! Thanks! Quite simply… “Bloomin’ awesome”… thanks so much for this! Last time I checked we can’t track clicks on landing pages other than signups. So that I can split test or see actual results of different landing pages for PDFs or downloads of any kind. Is there any plan to upgrade this? 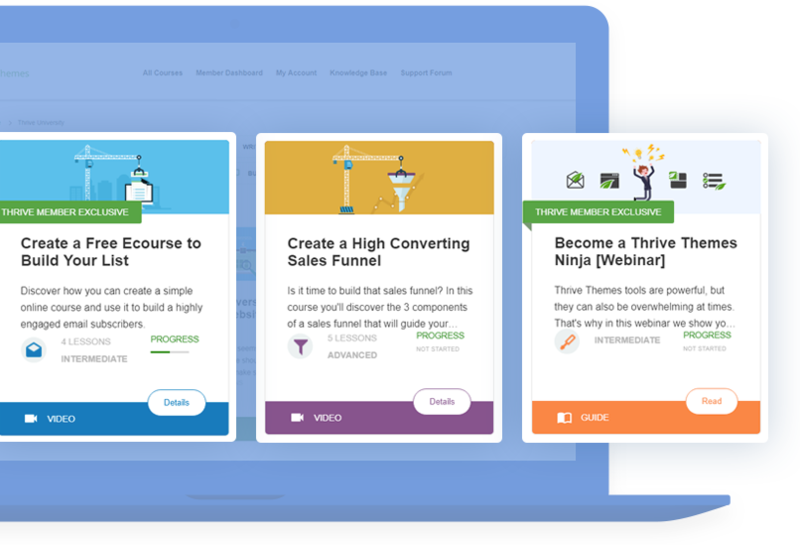 You can A/B test the message and elements on the call to action section of your landing page using a Thrive Leads shortcode. Anything within the shortcode section can be tested. You just need to create variations within the Leads shortcode, start the A/B test and place the shortcode on your landing page. If you want to test whole Landing Pages against each other, you can using Google Analytics, which is a free tool. Here’s a tutorial on how to set this up. Just make sure you’re testing big levers. More information on landing page testing can be found here. Thanks the Thrive Leads short code is for signups as it says “Build Your Mailing List Faster”. I was wondering about clicks that don’t lead to a sign up but to PDF download or say another site. I guess I can’t A/B split test Pop overs because there is not a sign up is what I’m getting at. However I can track with GA without the split test function in Thrive? The landing page link talks about signups. What about not signups but just links to other sites or pdf downloads without a signup. You can’t split test without a signup right? Hi Hank, sorry for the delay in response! (your comment got lost in the replies). At this point there’s no link tracker in Thrive Leads, so no you cant test clicks unfortunately. Great post always from you guys at Thrive Themes! Really enjoyed the content and thanks for the tips. I will be implementing a few of them in future posts. Have a good and be safe in your travels. Fabulous information. Using Thrive themes is one of the BEST decisions I ever made for my business and website! I’ve learned more here than I have in a lot of online classes I’ve paid a ton of money for. Thank you, Stephanie, for this awesome post !! Great tips you shared. Never thought of using Canva for creating covers for eBooks. But definitely, something to check out. Yeah Canva is a great tool for a lot of different design tasks. It’s hard to believe it’s a free tool! You might also find this Thrive University lesson on list building useful, it goes through all the steps of setting up list building on your site. Great read! Love all the resources you put in. Has anyone used Lucidpress for pdf’s? Thoughts? Cheers Mark… good luck with your new lead magnets and content upgrades! Pretty nifty tool, right Tunde? You’re welcome Harrison… happy PDF building! Great content. Thanks for sharing! Great Article! But i can not find the Magazine Design in Canva. I only find Magazine Cover. Can you paste in a link here of the Magazine feature. Tanks! As for accessing the Magazine Layouts in Canva, first log-in and click on the “Layouts” tab in the Canva left sidebar. Then, make sure the “Canva Layouts” option is selected from the drop down menu underneath the Canva design search bar. Finally, all of the magazine covers you see are either just a cover template or an entire magazine template. You can tell the difference by hovering over the cover shown and the right corner of the image will peel back like a dog ear to show a number (the number of internal magazine page templates included with that cover design). If there are additional pages associated with that cover design, the entire magazine layout will show itself when you click on the cover. We’re glad to have you Nicholas! You guys give away a tremendous amount of useful info. Thanks so much for this! Your post is very timely and helpful to me. It popped up just days before I am embarking on making my first tripwire PDF. I was going to do a simple docx to pdf until I saw this. I could hardly believe all the tools were in one post. Loved the article, Stephanie. I have always been a fan of the way Thrive Themes presents things, especially the use of different fonts that makes the blog readable. I would love to know the fonts you guys use on your website for headlines, subheadings, and blog post content. And thank you for putting out awesome content! You guys rock! Thanks for your comment Dev! In the spirit of teaching you how to fish instead of just giving you a fish, you can find out what any website’s fonts are by right clicking on your browser and selecting the “Inspect” option in the drop down menu. And if you want an even easier way to find that out, you can install an extension or add-on to your browser like “Font Ninja” to serve that info up to you in a convenient pop-up window. We’ve got a link and description of that Chrome Extension in the following post about our 20 + 1 favorite Chrome Extensions here. I’m just looking to get started with Canva, but I’m not seeing the Magazine option. There’s a magazine cover, but not a full layout. Am I missing something, or is it possibly a paid option? Do you have another suggestion? By the way, great video. Thanks. This is wonderful, been on the web all day for this.. Thanks So much.